It is decent budget Smartphone featured with 8 MP Camera having Dual Flash, Mediatek 1.4 GHz Octa-core processor, 2 GB RAM, 5.0 inches Display and 2500 mAh battery. Design of the handset looks somehow copied from iPhone, having flat rectangular shape and faux metallic body made up of plastic, phone looks classy but its slightly heavier weighted 160 grams. The display is sharp; colour production is nice while having 294 ppi display density. display is protected with Asahi Glass. The Mediatek MT6592 processor along with 2 GB RAM runs nearly all the apps but long time gaming causes heating. 2500 mAh battery gives average battery backup. 13.09 GB is total internal space available for User. Backlight led display for keys..
Touch is very responsive and smooth. It has nice gestures like when u make 'c' pattern onscreen when the phone is sleep it activates camera and so. 'm' for music and so on. Cons of Lava Iris X8. A bit heavy (160 gram). Front cam Quality is not good. Also change the "Type" to "mic", "media", etc. to increase those individually. No need to change "Level" and "Value is”. Place your mobile flat on the floor and wait for 2 minutes and then click calibration. 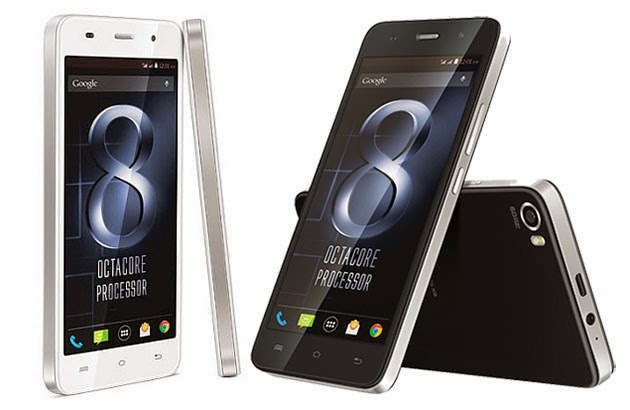 This handset seems loaded with all the features that should be available in a Smartphone under low budget. The phone is recommended to people wants a classy design, good CPU with decent battery backup. The photographs taken from the handset are not so impressive. Now decision and choice will be yours. this is one of the worst phone i had purchased .From the first day it is not working properly and even after giving it to repair to service center nothing had changed. Thank You for this article. This low range Lava Iris X8 launched in June 2016. Lava Iris X8 comes with 5 inch display. The battery specification of this smartphone is 2500 mAh (Source: https://www.buymobile.com.bd/lava-iris-x8). Another brand ZTE comes with New ZTE Nubia NX595J. It is going to be released soon on 12th October (Source: http://www.mobileblog24.com/2017/10/11/zte-nubia-nx595j-bangladesh/). On the other hand Asus, Huawei, Lenovo(Source: http://www.lenovaindia.com/), Nokia (Source: https://www.nokia.com/en_int/phones/all-phones), ZTE, Alcatel All brands come with great feature and nice looking smartphone.